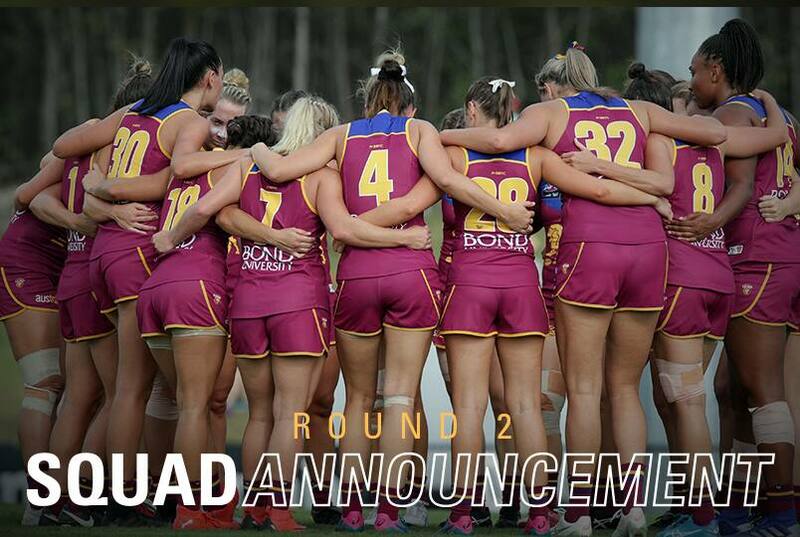 AFLW Coach Craig Starcevich has named a 23-women squad ahead of the Brisbane Lions Women's team's first away game of the 2019 AFL Women’s season. The Lions ares set to travel to West Australia to face the Fremantle Dockers at Fremantle Oval at 5.05pm AEST on Sunday, February 10. While there are no changes to the squad, there is the possibility of two debutants this weekend with Tori Groves-Little and Nat Grider both named in on interchange. The final team will be confirmed on Friday at 5.00pm AEST. Last time the two sides met the Lions claimed the four points when they grinded out a four-point win in soggy conditions at Southpine Sports Complex in Round 7, 2018. In fact, the Lions remain undefeated against the Dockers in the AFLW competition, having also produced a 13-point win at Fremantle Oval in 2017. Having booted three goals in the Lions’ 2019 season opener against the GIANTS, spearhead Jess Wuetschner could play a pivotal role in the contest. Since the competition’s inception, Wuetschner has booted a competition-high 21 goals including hauls of two in each of her games against the Dockers. Ally Anderson also looms as a key figure for the Lions in the Round 2 showdown. The third-year midfielder continues to build form and collected an equal team-high 24 disposals in Saturday’s win and amassed 19 in her last outing against Fremantle. Ahead of this weekend’s game, Anderson said the Lions’ midfield group had began operating as a collect unit in their win against the GIANTS. “We’re actually really happy with our effort as a midfield group. We had a really good ruck in Lauren Bella and she was pretty much tapping it to where we needed it to be,” Anderson said. The Lions’ Round 2 opponent are also coming off a strong vein of form however, requiring a league best 58 points to hold off a fast-finishing Melbourne side at Casey Field. The game will be broadcast on Fox Footy nation-wide, Channel 7 in Perth and 7Mate in Brisbane. For the latest updates before, during and after the match, keep an eye on the Lions AFLW Twitter and Instagram accounts.